I'm been getting a loud creak/click on my Flux since about the 4th ride on it. The only thing that seems to temporarily cure it is pulling the dw-link apart and cleaning and re-lubing everything - this lasts about 3-5 rides before the noise comes back. Curious if the wear pattern on my dw-link looks normal or not. 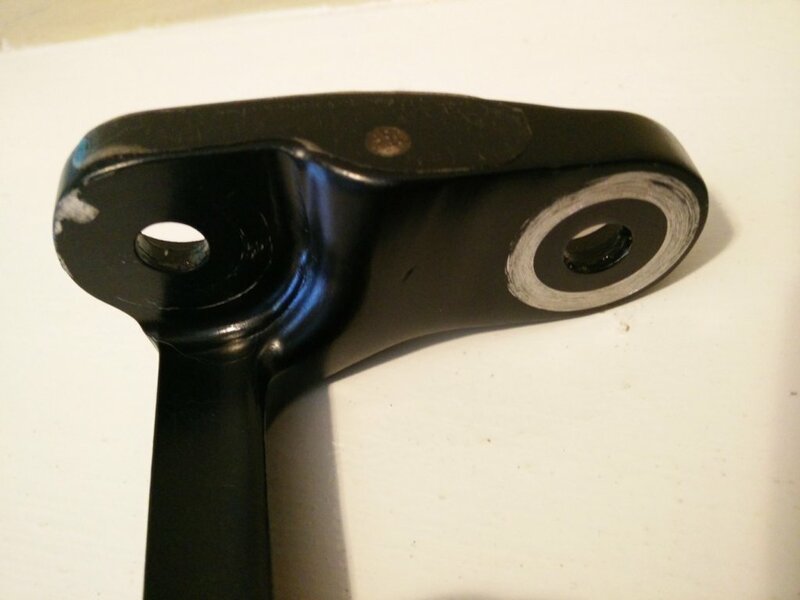 The two front pivot points show lots of wear from the bushings and the rear two are a bit of wear on one and almost no wear on the other. Pics attached. I've just gone through this with my flux and czar. Certainly in my case the main creaks were other things. On the Czar the lower headset bearing was knackered, and a repeat problem with the fox fork steerer tube/bridge interface created an almighty sound. I did check and clean all the pivots but I don't think we're to blame. The flux , most of the noise turned out to be seat post rails and again lower headset bearing. I was convinced again it was the links. I still had the pivots out for cleaning and checking. And certainly the clevis area has play. Not sure that's of any help but I was convinced of it being the linkage. I went through all of those things first along with the hanger and BB tracking down the noise. Pulling apart the dw-link seems to be the only thing that will make the noise go away, but only for a few rides. 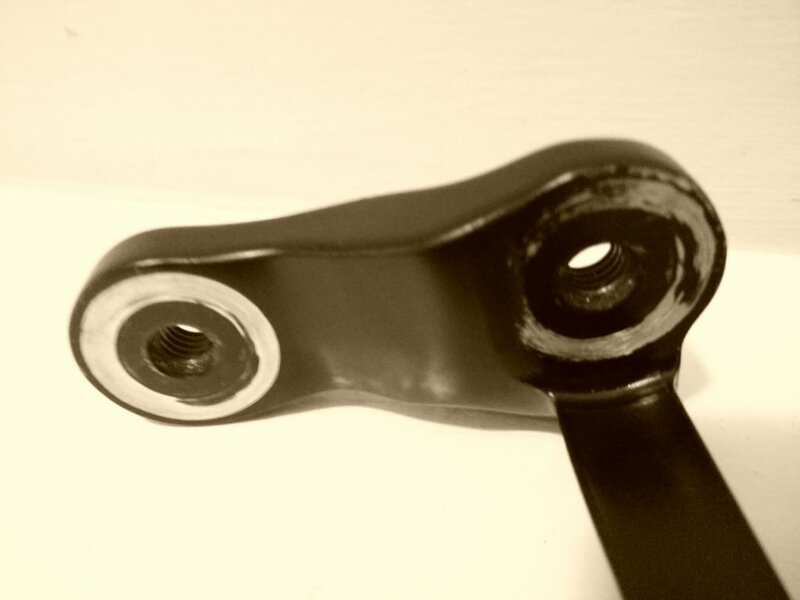 After looking at the linkage more closely, the one rear pivot that has uneven wear isn't getting full bushing contact because of a little dip in the metal there (it looks like a flat spot in the photo). I wonder if this could possibly cause it? Not the one with no wear (which seems strange as well). I tried the yellow tape trick but there isn't enough room there. On my Flux V3 I thought the DW link was the source of an annoying creak, but it turned out to be a DT 240s rear hub that needed fresh grease. Not saying you don't have noise coming from the DW link, but wanted to offer my experience. 1. Like you, disassembled and thoroughly cleaned and greased everything. 2. Made sure to torque everything to Turner specs. 3. Did a little sanding of the bushing top hats to allow the pivot shaft to "bite" more into the DW link. The sanding also helped the pivot action to be much smoother. This trick is mentioned elsewhere in the Turner forum. The uneven wear on your link, to me, suggests the top hat of the bushing on that side is not making as much contact with the link as the others. Perhaps the rear pivot shaft is just a little long and maybe sanding a bit of material off the end would allow that area to tighten up some. Probably the best thing to do first though is call/write DT. Average response time to my emails has been about 5 minutes. Good luck! I've gone through everything mentioned above and the only thing that helps temporarily is pulling apart the dw-link and cleaning / regreasing. It was actually the last thing I tried since all the other areas (post, saddle, hub, dropouts, shock mounts, etc.) were easier to try first. I don't think sanding the tophat will resolve the uneven wear on the one pivot - the link itself has a low spot (looks like a shadow in the pic, but you can see the line going up where the bushing contact stops) so the bushing doesn't quite make full contact. Not sure if that has anything to do with the noise or not. Yes it has. I did the sanding for my Czar dw link and the creak disapear. Not the tophat, the rear pivot shaft itself. Are you torquing to Turner's specs? If you are and still getting the creak, I'd call Turner for help.